Forrester believes that businesses will go after AI opportunities with a more refined approach in 2019, having learned how to fail fast with AI initiatives in the last couple of years. Organizations will try to add more “intelligence” to existing automations for better data analysis and decision-making. While Robotic Process Automation (RPA), having expected market value of $2.9 billion by 2021, is creating a lot of operational value by automating repetitive, rules-based operations, its future lies in cognitive-AI enhancement. and, text analytics that increases the value of RPA right now. Organizations are already combining AI building block technologies such as Machine Learning and Text Analytics with RPA features to drive greater value for digital workers. The future looks ready to embrace the conjoined operations of RPA and AI in several industries. Let’s look at some of the real-world use cases across industries. “Spain’s BBVA lets prospects open an account with just a photo ID, a selfie, and a video call — combining advanced biometrics, facial recognition, and AI-infused optical character recognition (OCR) to match the individual’s face with their legal documentation, such as the photo ID.” According to a report from Forrester on customer facing AI use cases for banks. A hospital study in Texas revealed that prompt automation with proper interpretation of medical records, order entry and decision support will help doctors to quickly resolve complications and reduce costs. The bots assigned to maintain patient records and suggest diagnoses add to the digital workforce leading to a higher ROI and healthier patients. To resolve IT issues, programmed bots serve as a digital workforce to compare new tickets to old tickets. Human agents can enter descriptions into chatbots to query a machine learning knowledge base that stores event history, helping them to match the present ticket with previous ones. RPA bots can then resolve the problem itself or provide guidance to the end users, enhancing their efficiency. Key applications lack modern APIs forcing insurance professionals to access information through discrete systems. 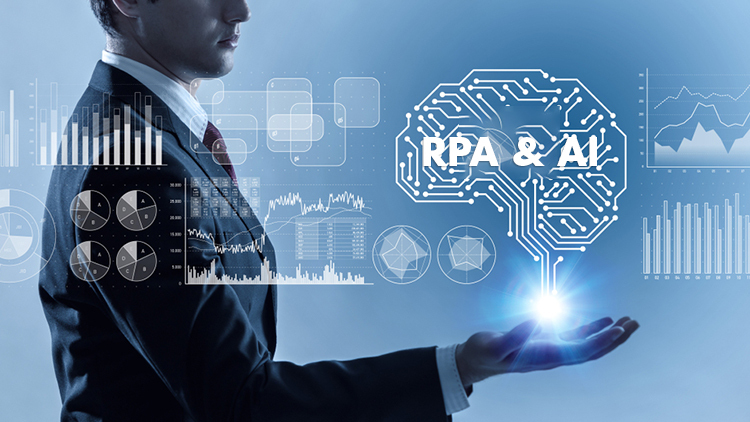 RPA tools with AI can handle these systems very well, being able to interpret and classify millions of inbound emails, content and attachments for compliance measures. The next decade is expected to witness a paradigm shift with some industry leaders already toying with the idea of installing AI-powered bots on employee computers, letting them develop a program to mimic both function and process. The bot will watch the human operator over thousands of instances, learning to operate on its own – the pinnacle of cognitive automation.